hopeless romantic movies in TGV now! 20% savings at Chill*X and Vie Café. Not applicable for TGV's early bird pricing. Only applicable for standard seat, NOT VALID for 3D,Twin Premium, Beanie, LUXE IMAX and any other on-going promotion. Payment must be made using Maybank Credit Card or Maybank American Express Cards except for the Concession promotion. Applicable for Maybank Credit Card issued by Malaysia, Indonesia, Philippines and Singapore. - Limited to maximum of 2 Free Tickets per day per Cardmember, while stocks last. - Limited to the 13,500 per month on first come first serve basis. - Valid for everyday movies before 6 p.m.
- Food and beverages items only. - Please present coupon upon purchase. Coupon is attached together with the movie ticket stub. 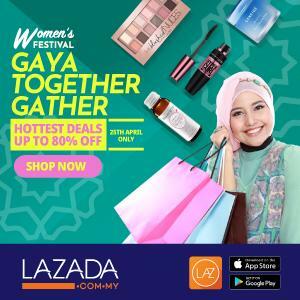 win RM 5,000 worth of prizes. by guaranteeing unlimited supply of Unagi Sushi. only throughout the Bonanza Promotion. 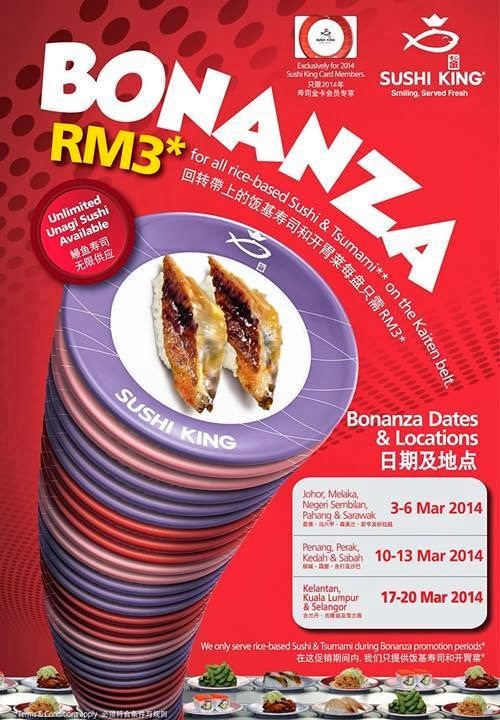 for Sushi King 2014 Member card holders only. For those who do not have member card yet, fret not, you can drop by at any of our restaurants to apply.